Should you charge a phone when it is new? Graham Verity from GP Batteries - Well, the battery from the factories probably delivered with something like a 30% charge. So, you're probably going to want to charge it anyway. In actual fact with the mobile phone, you're talking about something with a single 3.6V nominal voltage cell and there is no need to charge it. So, this is something that you're doing just so that you’ve got a full battery. If you had more than one cell in there, then particularly, you're moving away from lithium In batteries so the nickel metal hydride rechargeable batteries and that’s in a battery pack, you would definitely want to charge the pack to bring all of the cells into full balance. So, you're starting with a well-balanced cell because if you were to discharge a battery pack, a nickel metal hydride battery pack then one of those cells probably isn’t going to carry as much charge as the others and that’s going to go into a low state of charge before the others. And will be driven lower than it should be by the others. Kat - And so, tell me a bit about how should we charge batteries. For example, I like to leave my phone charging over night. Is that a good thing to do? It’ll obviously be charged up quite quickly, but then I just leave it. Graham - Again here, we’re talking specifically about a phone battery and that today is inevitably going to be lithium ion or lithium polymer. The charger is going to have to look after that battery. If it were to go into over charge, that becomes dangerous. And so, the charger is designed to – it’s a constant current charge, the voltage will increase until it gets to 4.2 volts. And then the charge is going to do one or two things. It’s either going to clamp the voltage of 4.2 and you'll see a diminishing current going into the battery to give it a full charge, or in fact, at that point, it’s about 70% charge and the charger is going to cut. 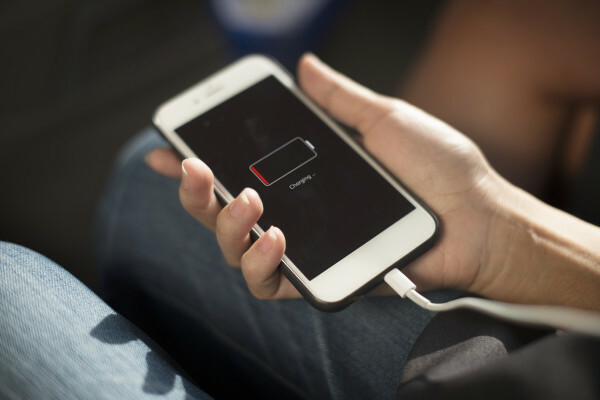 If you were to continue to charge the battery beyond its capability, then you start to plate out metallic lithium in the cell and that's when it becomes inherently dangerous. That's when we get the horror stories of lithium. Kat - Okay, so let’s not do that. Graham - So, the charger is looking after and the charger is going to terminate the charge. So yes, it’s nice to unplug the thing because you think you're not using energy. In actual fact, chargers today will pretty well shut down and you're okay. Previous Charging from mains or USB? Next Have rechargeable batteries got better?